In a recent study, researchers from Washington University in St. Louis used a technique to identify dozens of new genetic variations that affect blood pressure. They discovered the new genetic regions–and confirmed the role of many previously known ones–by looking specifically at cigarette smoking behavior, one of many lifestyle factors that impact blood pressure. The tech is opening the door to more complex analyses of the human genome. High blood pressure is a leading cause of illness and death worldwide, and managing it is a major public health priority. According to the Centers for Disease Control and Prevention, about 75 million American adults have high blood pressure. Previous research has shown that blood pressure is influenced by both genetic and lifestyle factors, such as smoking cigarettes. But while previous genetic studies have identified genes and genetic regions strongly associated with blood pressure, they have not explored the interplay between genes and environmental factors. In the current study, the researchers used the technique known as gene-environment interaction analysis to solve the problem. They used cigarette smoking as an environmental marker to zero in on areas of the genome associated with blood pressure. Cigarette smoking raises blood pressure, and the team tested different points of the genome of more than 610,000 individuals to find where there were interactions between cigarette smoking and blood pressure. These would be the areas where genes regulate blood pressure. They confirmed 56 known genetic regions and identified 83 novel ones associated with blood pressure. The discovery was possible because the effects of some genes on blood pressure only show up under certain environmental factors, such as cigarette smoking. 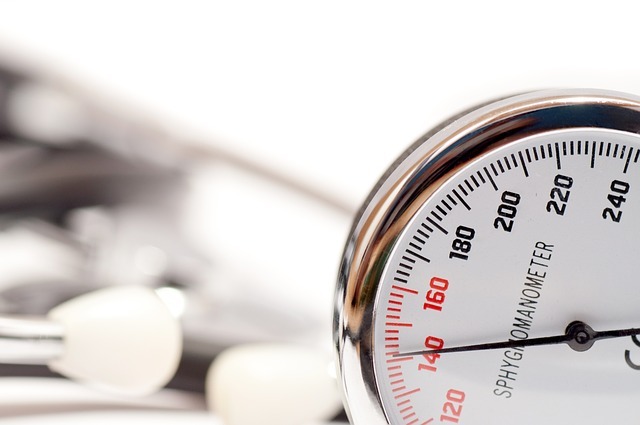 Absent those conditions, those genes’ connection to hypertension could have gone unnoticed. The same is true for the more detailed insights related to cigarette smoking researchers were able to glean. Ten of the newly discovered genes appeared to have a much larger impact on the blood pressure levels of smokers than of nonsmokers–in some cases as much as eight times higher. A large study sample size was key to getting these results –traditional genome-wide association studies do not account for gene-environment interactions. The analysis of the large samples was possible through the work of researchers in the Gene-Lifestyle Interactions Working Group of the Cohorts for Heart and Aging Research in Genomic Epidemiology (CHARGE) Consortium. Also funded by NHLBI, CHARGE was formed to facilitate genome-wide association meta-analyses, using several large longitudinal studies. Its findings could eventually lead to the development of individually targeted treatments to manage hypertension. In future studies, the researchers will use even larger sample sizes and investigate the influence of other lifestyle factors on blood pressure and lipids. The study’s first author is Yun J. Sung, Ph.D., associate professor of biostatistics at the Washington University School of Medicine, St. Louis. The study is funded by the National Heart, Lung and Blood Institute (NHLBI). The finding is published in The American Journal of Human Genetics.